Since Certified Nursing Aide (CNA) is the most noteworthy and very high in-demand respectable occupation with flexible work hours, therefore Certified Nursing Aide (CNA) is a very valuable member of the healthcare team. Param Institute of Education’s Certified Nursing Aide (CNA) training program has been approved by the NJ State and meets all standards set forth by the Department of Health and Human Services. Param Institute of Education provides the highest quality education and help in placement also. Join our Certified Nursing Aide (CNA) Program and open the great doors into the Healthcare Industry with job stability. Contact for course details just today and secure your admission. Q: What do Certified Nursing Aide (CNA) do? Almost, Certified Nursing Aide (CNA) helps patients by providing basic care and help in activities of daily living under the supervision of RN (Registered Nurse). CNA‘s consequently move patients to or from bed to chair, apply bandages, gather vital signs information about the patients, bathe the patient, help patients to get dress and other daily routine help required by the patient. Q: Where do Certified Nursing Aide (CNA) work? Certified Nursing Aide (CNA) provides an optimum level of health and personal care services, especially in long-term care facilities. Certified Nursing Aide (CNA) can work in Nursing Care Facility, Continuing Care Retirement Communities, Assisted Living facilities and Hospitals. Q: What is the admission process for Certified Nursing Aide (CNA)? Q: How can I be a Certified Nursing Aide (CNA)? At Param Institute of Education (PIE), you can do the Certified Nursing Aide (CNA) training program in almost 4-5 weeks. The program has 90 hours of training having almost 50 hours of Instructional and 40 hours of clinical training. 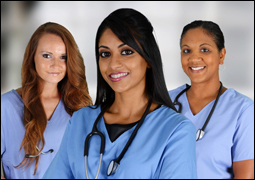 After successful completion of the training, you can appear for Certified Nursing Aide (CNA) evaluation examination. 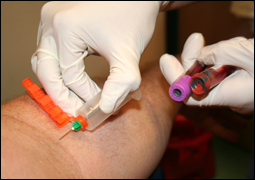 The NJ State Department of Health conducts the Certified Nursing Aide (CNA) examination. After, passing Certified Nursing Aide (CNA) examination you will be Certified Nursing Aide (CNA). 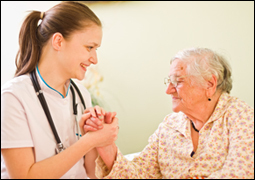 You will get Certified Nursing Aide (CNA) license after the background check and fingerprint. Q: What are the Job Outlook for Certified Nursing Aide (CNA)?